It's been estimated that 70 percent of the volume of trading on the stock exchanges is done by something called flash traders, which are basically computers that buy and sell stocks and hold them for about 11 seconds on average. All of the discussions around what moves the market, the economy, politics, regulations, company earnings it’s really all out the window given there’s just no way that a computer holding and selling a stock in 11 seconds is going to be able to do all of that analysis. Essentially, there’s no clear-cut explanation for why stocks move up and down every day. And frankly, the fact that we have media trying to make these reports about how it’s related to this or that is just not very helpful for the average investor. Blimp pilots are an uncommon breed. There are less than 30 operational blimps worldwide, and in the United States, only 24 people who are officially licensed to fly them. 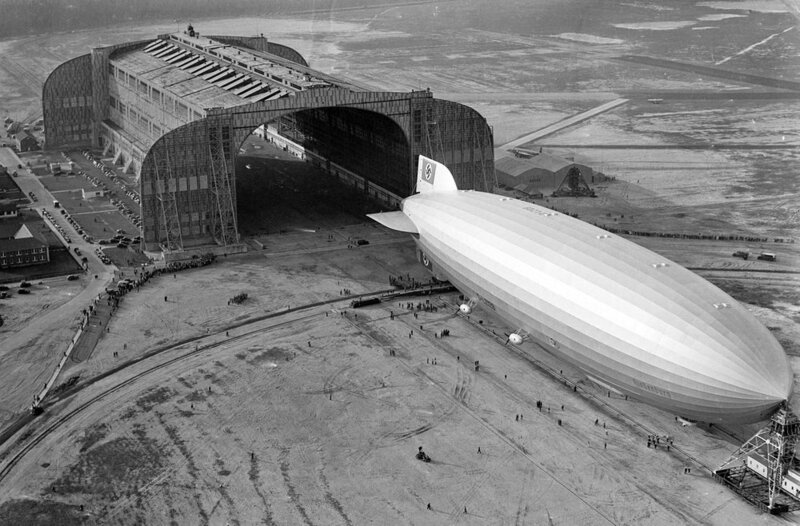 Note: The image above depicts German Zeppelin LZ 129 Hindenburg on arrival at Lakehurst, New Jersey, after its inaugural flight from Friedrichshafen, Germany, on the early morning of 9 May 1936. The man credited with the ‘invention’ of the numbering sequence of the modern standard dartboard is Brian Gamlin. Gamlin was a carpenter and showman from the County of Lancashire, England and came up with the sequence at the age of 44. He introduced the numbering variation at a county fair in 1896. Though darts were already a popular fairground activity, Gamlin built the board for a new game he called ‘round the clock’ in which players have to score with darts in numerical order. Gamlin designed the numbering in such a way as to cut down the incidence of ‘lucky shots’ and reduce the element of chance. The numbers are placed in such a way as to encourage accuracy - the placing of small numbers on either side of large numbers. There are 2,432,902,008,176,640,000 different possible arrangements of the 20 segments on a standard dartboard, so it's impressive that Gamlin’s arrangement of the numbers is almost perfect. From a mathematical perspective, total of the difference between adjacent numbers on Gamlin's board is 196, only 4 away from the maximum possible total of 200. The best way to improve the board would be by moving the 14 and placing it between the 6 and the 10.